COMMENT | Empathy should be at the centre of economic policies — it makes good political and economic sense. We must always remember that, at the ballot box, a billionaire and a citizen — who earns barely a minimum wage — each have a vote equal to that of the other. When we look at the economic legacy left behind by former prime minister Najib Abdul Razak, it is obvious that empathy is sorely lacking. We need to learn the right lessons from Najib's economic failure if we are to move the nation forward. Firstly, how did Najib lose? Apart from his alleged looting of the nation’s coffer through 1MDB and numerous other scandals, which have depleted whatever little respect and moral standing he had left with the electorate, the economic basis of BN's defeat lies in a gross lack of empathy for the economic hardship endured by ordinary Malaysians. Economic policies must ensure a balance between the interests of the rich and the interests of ordinary citizens — this is not just good politics, but good economics, too. Only when ordinary citizens can afford to consume, without incurring huge household debts along the way, can the economy prosper sustainably. Gone are the days when Malaysia depended solely on export-led industrialisation through Foreign Direct Investments, which, in turn, required wages to be kept low for the country to be competitive with other countries. What the Malaysian economy needs to do since the huge financial crisis of 1997 is to reduce the size of the predominantly foreign population of unskilled labour, automate and move up the technological ladder (thus reducing the need for cheap labour), and pay skilled workers well. Without that upward dynamic, Malaysia ends up seeing more and more of its citizens having to work in foreign lands such as Singapore, Australia and even South Korea. It is interesting to note that, according to Bank Negara, 40 percent of Malaysians who work in Singapore, for example, are actually working in the 3D (dangerous, difficult and demeaning) sectors. Who says Malaysians are lazy and only wish to hold comfortable jobs? It is a matter of pay rather than anything else. All these eluded Najib. Essentially, Najib’s economic policies were guided by rating agencies and high-flyer consultants such as Idris Jala who had no empathy for the small guys and no appetite for bold and broad-based reforms that could have lifted the Malaysian economy to the next level into a virtuous cycle of higher pay, higher skills and better technology. Najib’s only policies for jobs were about asking graduates to sell nasi lemak and hoping that those who could not find jobs would become Grab drivers. One of the most foolish economic moves of the Najib government was to introduce the Goods and Services Tax (GST). Even today, nearly six months after the May election, I am astonished to see why so many people failed to understand why GST was so hated. Of course, GST was not the only reason why prices went up drastically from 2015 onwards. Other contributing factors included a 30 percent depreciation of the ringgit beginning around October 2014 and Najib’s massive cuts to government expenditure on welfare and subsidies, while allegedly plundering the coffer through 1MDB and other scandalous conducts at the same time. For instance, his development expenditure was budgeted at about RM45 billion with an actual spending of less than RM40 billion in 2014 and 2015, and just about RM40 billion in 2016-2017, yet 25 percent of this already very limited development budget went to the Prime Minister’s Department, a substantial portion of which went into items which I used to call “slush funds” – discretionary grants that Najib could just sign off on to whoever he likes. Defenders of the GST claim that it helped to broaden the tax base especially since “only 11 percent of Malaysians pay direct tax”. Those who paddled this line fail to understand that the flip side of that argument is that, barring a small group who criminally evades tax, nearly 90 percent of Malaysians do not qualify — do not actually earn enough — to pay tax. In 2011, the budget committee of Pakatan Rakyat in 2011, myself included, argued that the economy must give the bottom 60 percent more disposable income so that the entire economy would benefit from sustainable consumption which is not debt-fuelled. 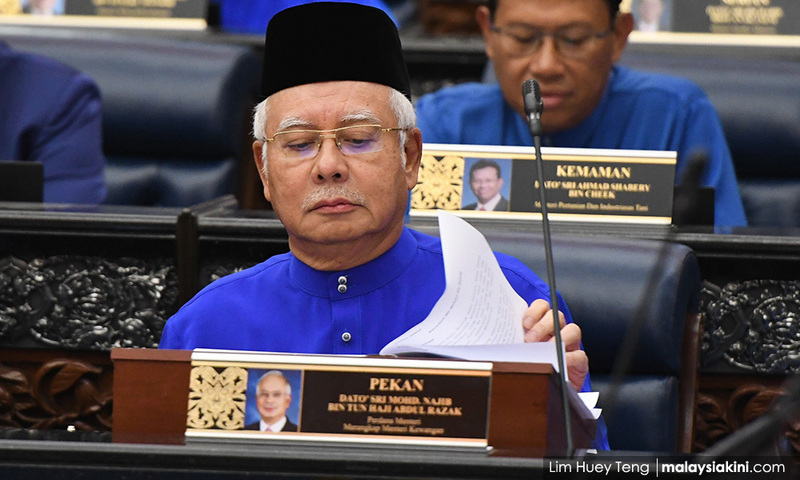 The Najib government, however, went for the band-aid solution of cash transfer to 60 percent of the population, and introduced the BR1M in the 2012 budget. Here lies the contradiction. 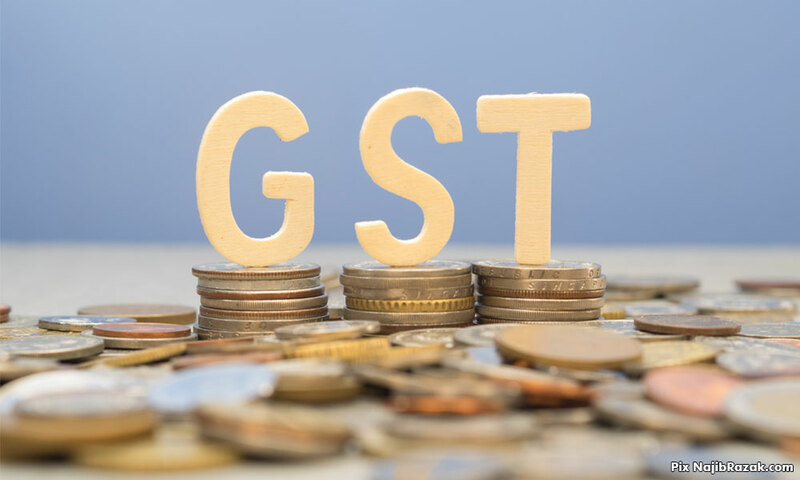 While it was known, on the one hand, that nearly two-thirds of the population required some form of aid to get by and only one-tenth of the nation qualified to pay direct taxes, on the other, introducing GST was portrayed as a most brilliant policy. Najib once answered a question on the matter which I put to him in Parliament by claiming the GST was the “saviour” of the Malaysian economy. I still can’t believe today how delusional he was. I had been warning since 2013 that BN was digging its grave with the introduction of GST as it would kill consumption — thus killing the golden goose of the economy, and it was invariably a politically suicidal move to tax people who could not afford to pay taxes in the first place. I was proven correct. The deep anti-GST sentiment among the electorate is not just about GST but about it being short-hand for Najib’s lack of empathy in his management of the economy. The Pakatan Harapan government’s abolishment of GST was the right thing to do. It had to be done. The new government had to remove a regressive tax that was eating into the disposable income of ordinary folks. Since the price hikes of 2015 onwards were not due only to the GST, its abolishment would not lead to a direct and immediate drop in the price of goods. There is, however, no denying that the Sales and Services Tax (SST) brings in less for the government, which simply means that it collects less from the society at large, leaving the public with more disposable income. 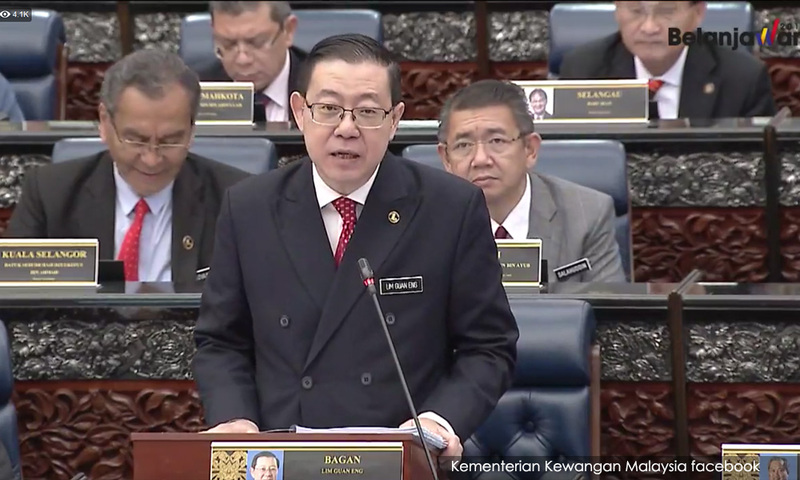 It is in this context that I would like to commend Finance Minister Lim Guan Eng for delivering a budget that aims to “cut fat but not cut muscles”. Despite the huge fiscal pressure as a result of 1MDB and other debts, Lim and the government decided not to go on an austerity drive. Such a move would most likely have brought the national economy to a standstill. The announcements under Budget 2019 of measures such as massive support for public transport (which is now recognised as a major drag on disposable income) and recognising the need to pay workers better, which will in the long run increase the government’s tax revenue, together with the abolishment of GST, are clear signs that the Pakatan Harapan government understands that empathy is crucial in the management of our economy – something that is too late for Najib to learn. LIEW CHIN TONG is a senator and deputy defence minister.